Castle Hills is an 11th century earthwork motte and bailey fortress, founded by Nigel Fozzard, on lands held from Robert of Mortain. The motte encased by a wide wet ditch, defends a bean-shaped eastern bailey and a small north-western mound, which is possibly a barbican. The predecessor to Radcliffe Moat, the low-lying site, is encased by deep wet ditches, with counterscarp banks. 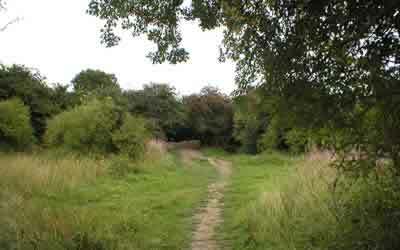 Once protected by marshy land, the site is heavily overgrown, so is best viewed in winter. 8 miles south-west at is Conisborough Castle and 11 miles north-east at Thorne is Peel Hill. Castle Hills is located south-east of Adwick-le-Street, off the Great North Road. 4 miles north of Doncaster, on the A638.